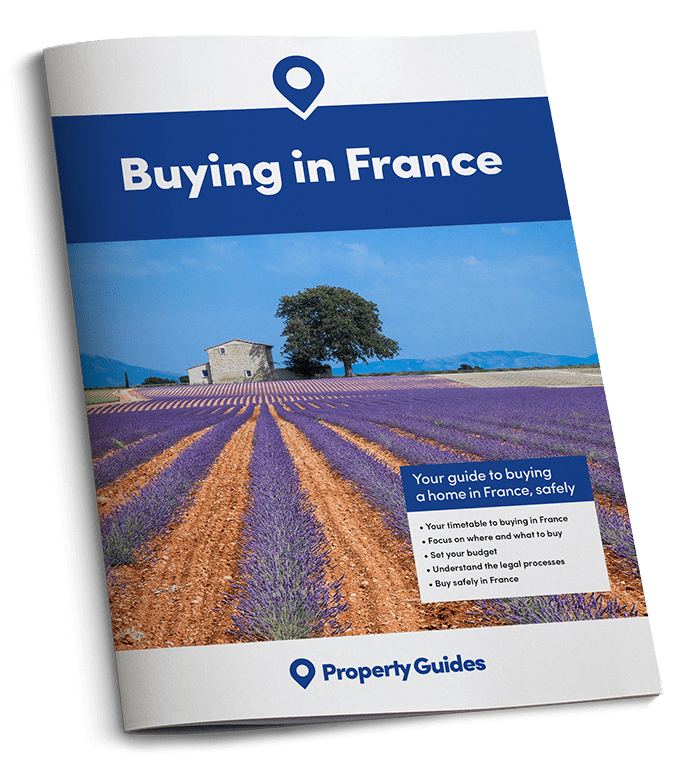 From mountains to Mediterranean beaches, France boasts just about every type of landscape, but for many homeowners the country’s unspoilt lakes are its most precious natural assets. Swimming in velvety freshwater, enjoying water sports and engaging in a healthy, outdoorsy lifestyle – the appeal of living or owning a holiday home by a lake is hard to ignore, especially for active families with children. Being France, the choice of lakes is huge, but to give you a flavour of what’s out there, we’ve picked four of our favourites, each in a different area of the country. Surrounded by mountains in the alpine region of Haute-Savoie, Lake Annecy is France’s third (sometimes deemed second) largest lake and also regarded as Europe’s cleanest. This is thanks to very strict environmental rules introduced in the 1960s. The water, fed by alpine streams, really is pristine. 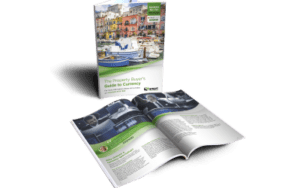 Lake Annecy’s popularity – and expensive property prices – are partly down to its proximity to some of Europe’s best ski resorts, including Chamonix. Summer months can be spent swimming, sailing or doing just about every type of water sport there is, or enjoying the many trails around the lake. Once the snow comes you can be on the slopes within half an hour. There are numerous beaches, including sand, grassy banks and pontoons around the lake, some with swimming pools. A popular one that is ideal for families is at Saint Jorioz. 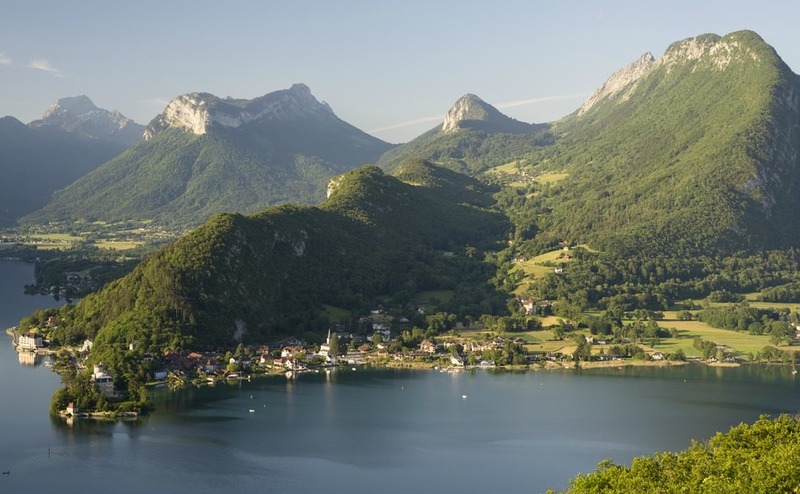 Being at the water’s edge of Lake Annecy comes at a premium, but nearby villages such as Doussard and Faverges are more affordable. Bathing in glorious freshwater, trekking through ancient woods, enjoying earthy local food and exploring sleepy farming villages – you could do all this as the owner of a home next to or near Lake Vassivière in the Millevaches Natural Park in the Limousin. 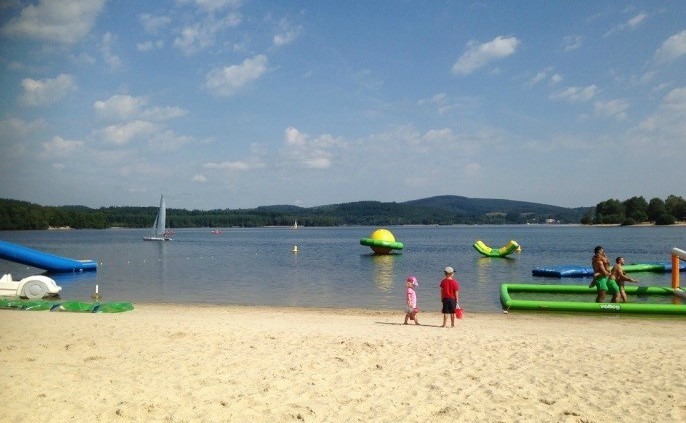 One of France’s largest manmade lakes and with its own pretty island, Lake Vassivière is fringed by woods and a selection of sandy beaches, giving access to swimming areas and water sports. It’s easy to see why French people regard this unspoilt area in central France as a favourite place for nature-inspired holidays. If you’re tempted, the villages of Eymoutiers, Bujaleuf, Nedde and Treignac, also with its own Lake Bariousses, could be places to begin a property hunt for a characterful farmhouse or barn conversion. Nestled in a valley within Provence’s Verdon National Park, which forms a back-drop to the inland villages of the French Riviera, is the emerald coloured Lake Castillon. Also manmade, by the damming of the Verdon River, the lake offers supervised beaches and the usual array of water sports. The mountainous terrain here is known for its gorges and fast rivers, and is home to Europe’s grandest canyon, Gorges du Verdon, all of which make it a popular place for rafting, canyoning and climbing. A stunning 10-minute drive through a gorge at the lake’s southern end takes you to the pretty medieval town of Castellane, a real gem and inspiring place for a second home with access to the great outdoors. Just inland from the unspoilt Atlantic coastline of Aquitaine are the two connected Biscarrosse Lakes, the northern one known as the Lake of Cazaux and Sanguinet and the smaller southern one as the Lake of Parentis, both formed thousands of years ago. With a handful of supervised beaches and surrounded by pine forests that are criss-crossed by trails, these are a mecca for nature-lovers and water sports aficionados. The northern lake includes a marina and, just to the west, a golf course at Maguide. Any of the towns around the lakes, including Biscarrosse itself, Sanguinet or Parentis-en-Born would be ideal for a second home.